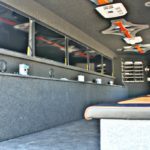 We know what we build is a successful product because we’ve manufactured 48 to date and two of those are operated daily by us in the Central Florida area. 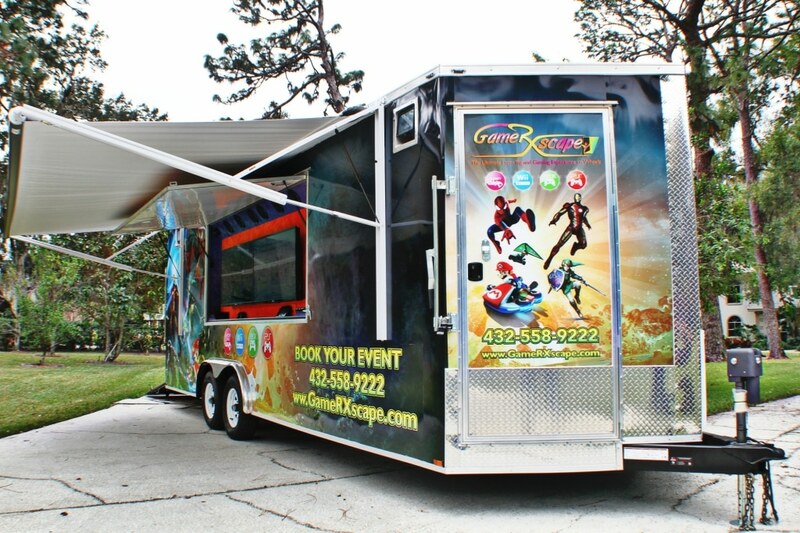 Our trailers are no less than 7 1/2 feet tall on the inside which is nearly a foot taller than our competitors. 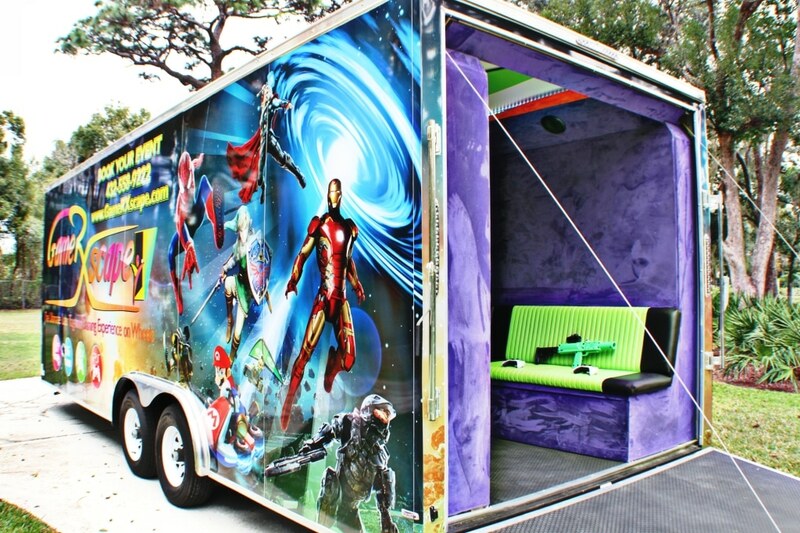 This gives your clients more space and allows everyone in the trailer to feel more comfortable. 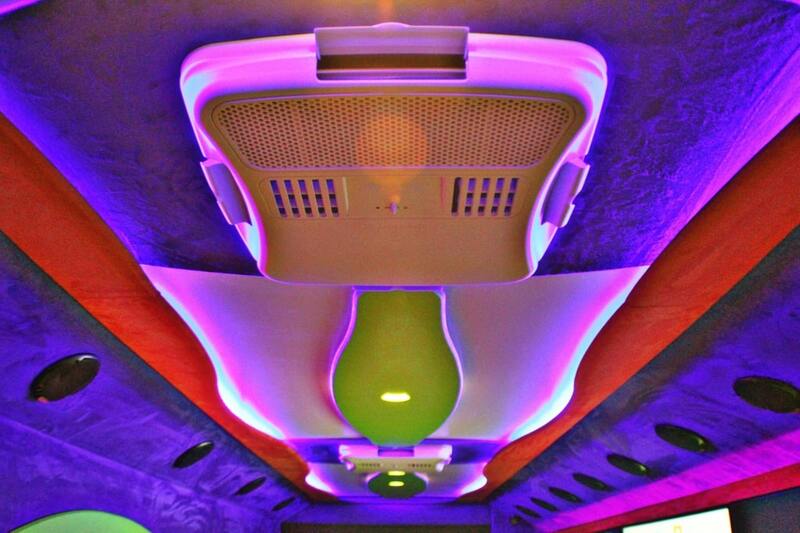 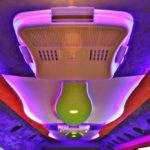 We don't have boring flat ceiling - we design a 3 dimensional ceiling to give it depth, texture, and style to add to that wow factor. 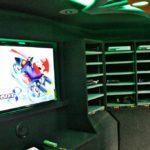 Our larger trailers come with two air conditioners which can be set to specific temperatures allowing for maximum comfort and ideal power consumption. 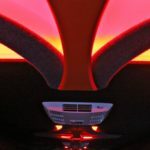 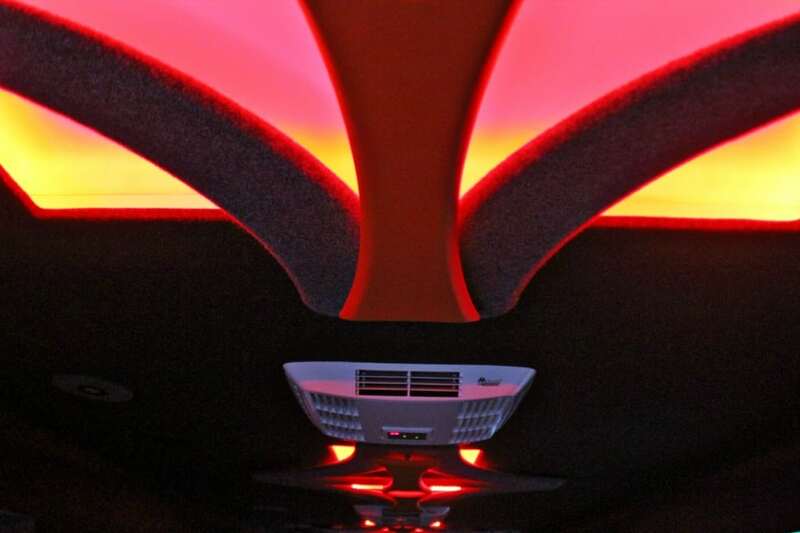 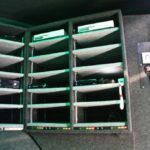 We use only the highest quality speakers, amplifiers, wiring and radio head units to ensure that the sound is crisp powerful audio that you can feel. 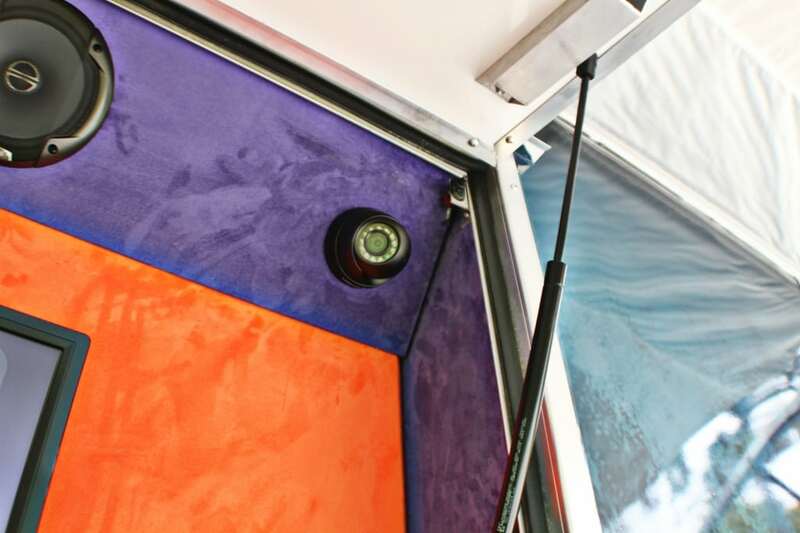 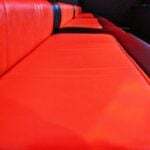 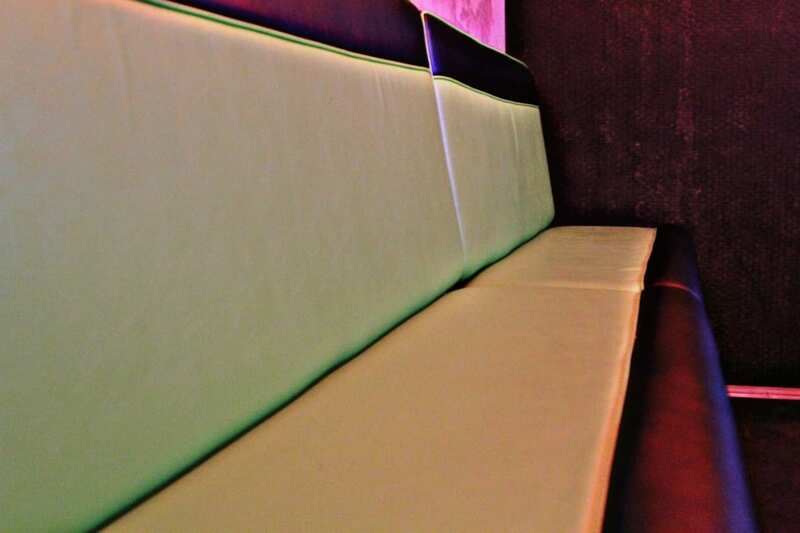 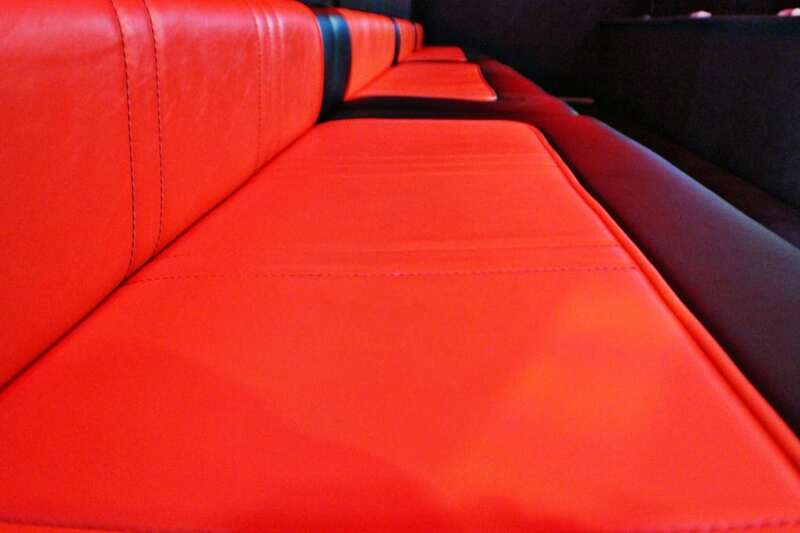 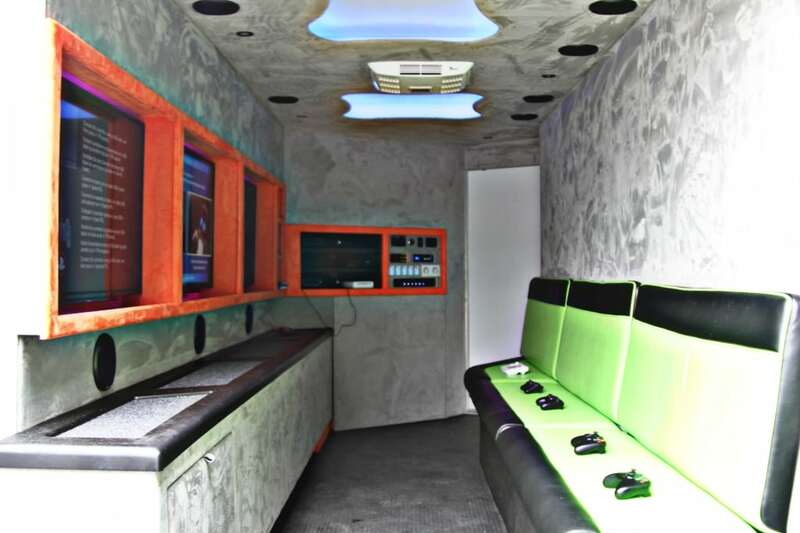 We don't use carpeting because it looks cheap and can make your trailer look "unfinished" we use an industrial material that feels like suede, is rich in texture and also serves as sound dampening, so you're customers don't have to play video games in a noisy aluminum box. 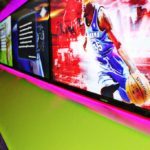 Even the placement of our televisions is strategic – we have our support beams spaced at a certain distance to accommodate the largest televisions safely. 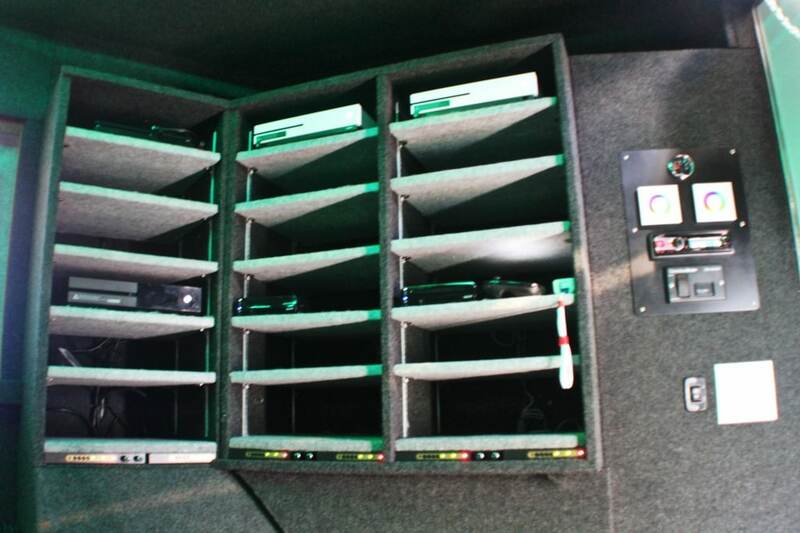 In building these trailers we’ve taken everything into account including alternate power sources. 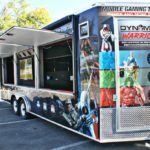 Since you can’t use a generator at all of the events you will attend, we’ve outfitted our trailers with the capability to plug into a standard wall outlet. 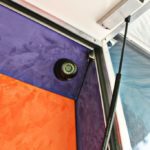 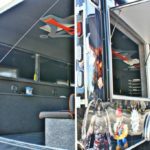 In addition to all of the standard features, we also over 20 popular options that our clients often to chose like; Satellite TV, motorized awnings, stabilizer jacks, lazer tag and so much more. 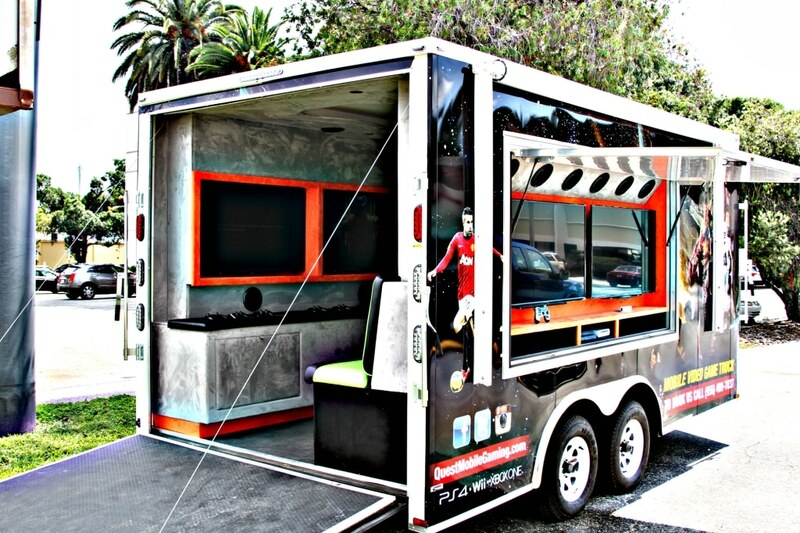 The Mini Adventurer is a great opportunity for a company to get started in the mobile gaming industry. 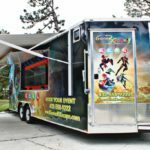 Like all of our other trailers, the Mini Adventurer comes with a highly reliable on-board generator safely placed inside of a fireproof box. 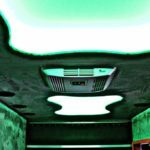 We mount all of our generators this way to protect your customers from strong odors and the safety concerns associated with placing a generator on the tongue of a trailer. 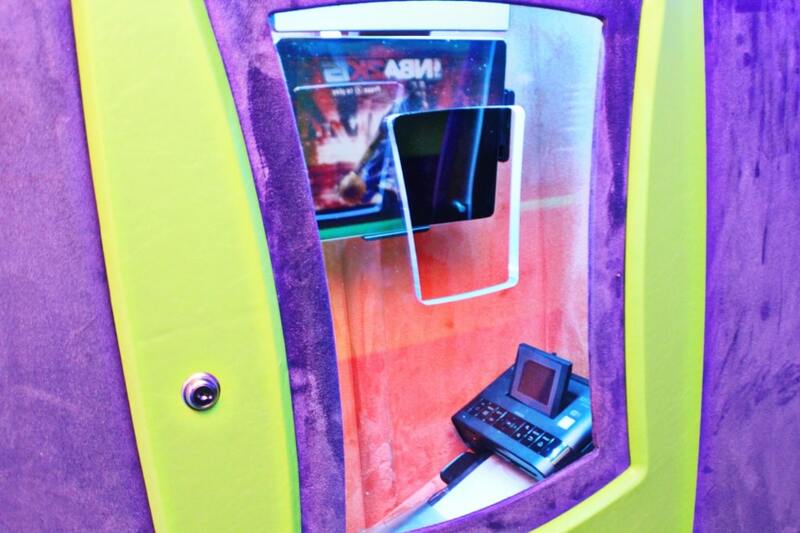 As soon as you receive the Mini Adventurer, you will have everything you need to begin making money immediately! 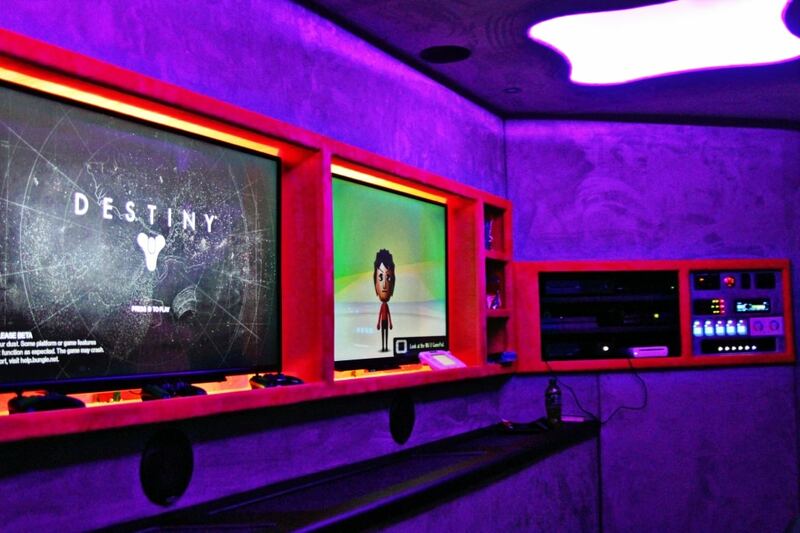 The Gamers Paradise is a true oasis built to please everyone, even pro gamers. 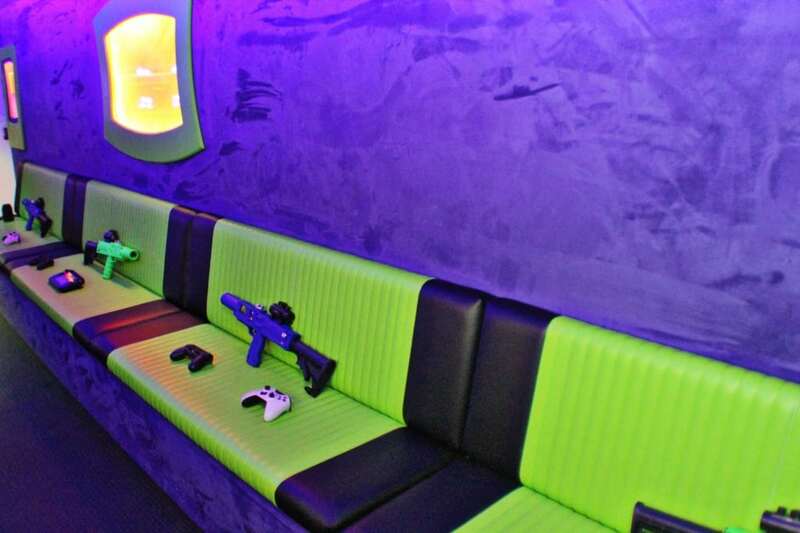 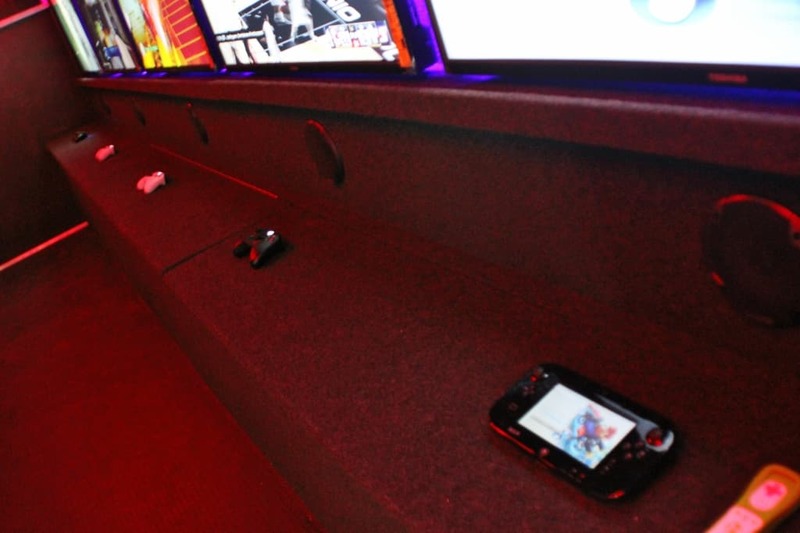 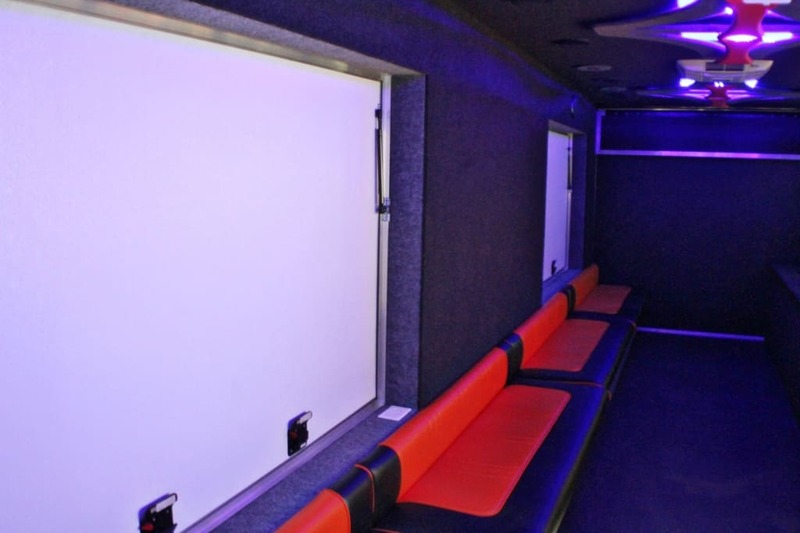 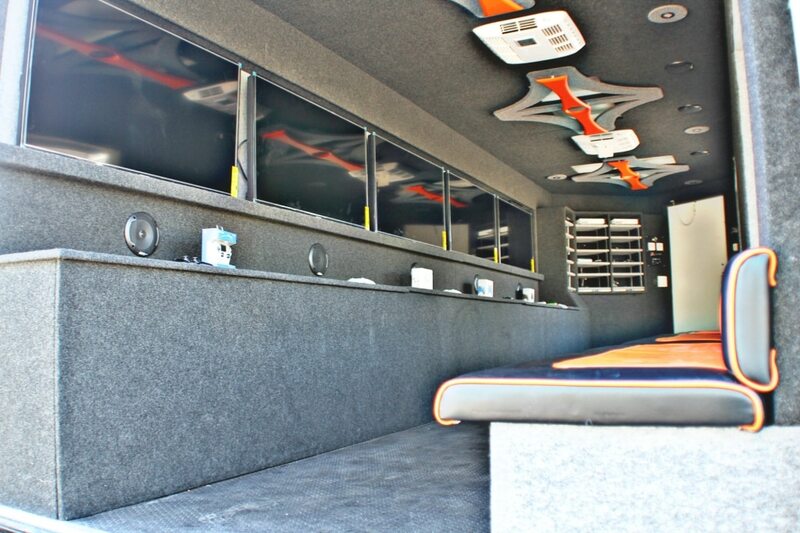 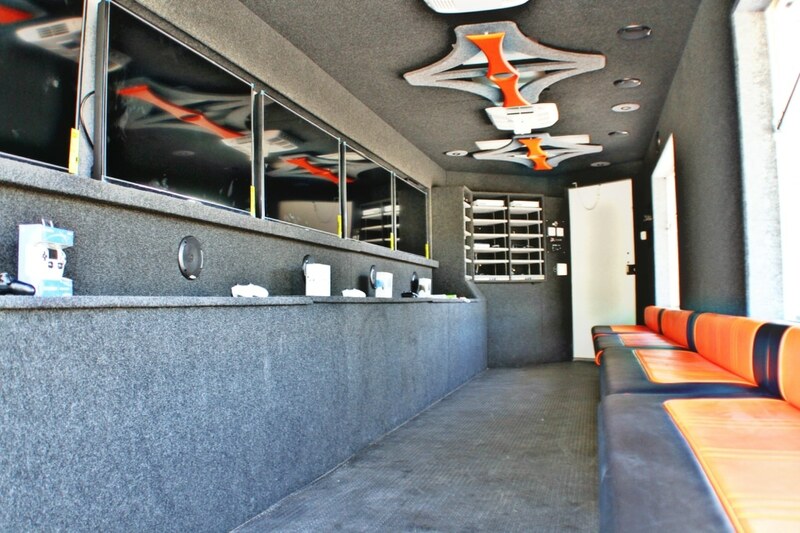 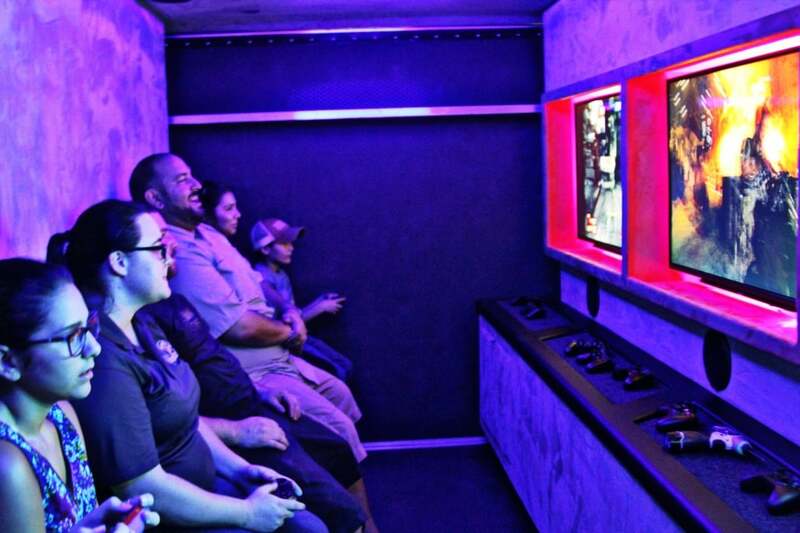 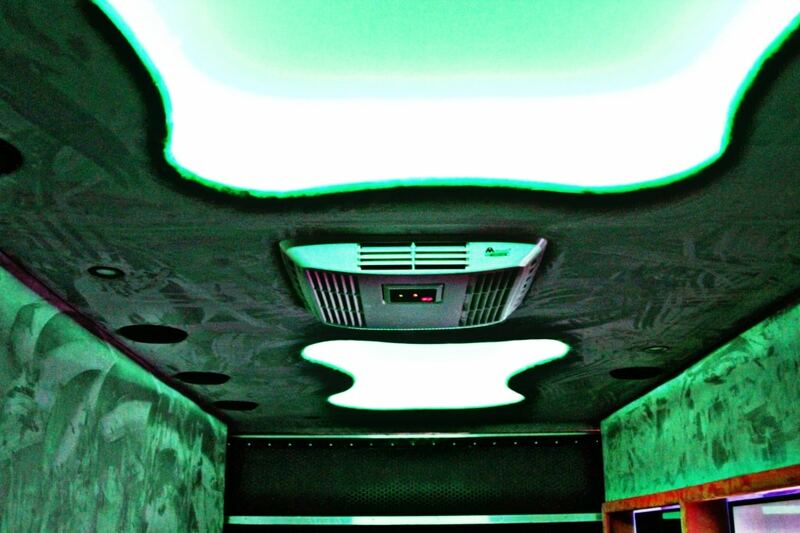 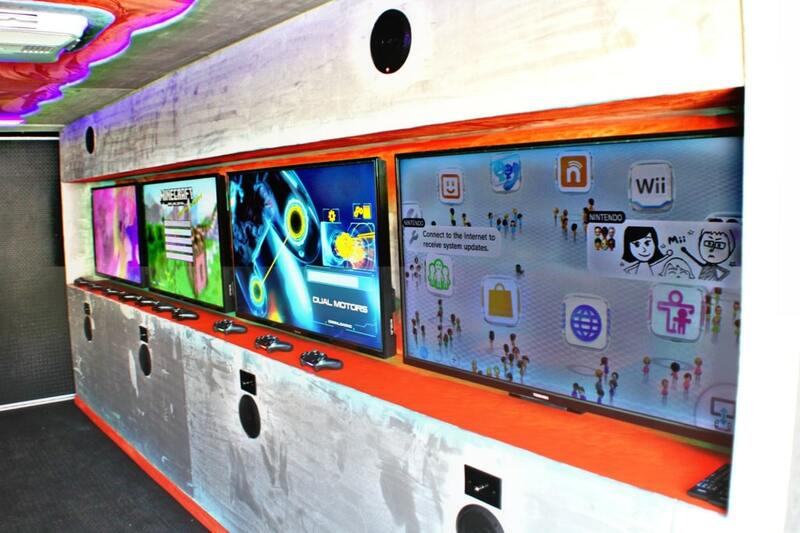 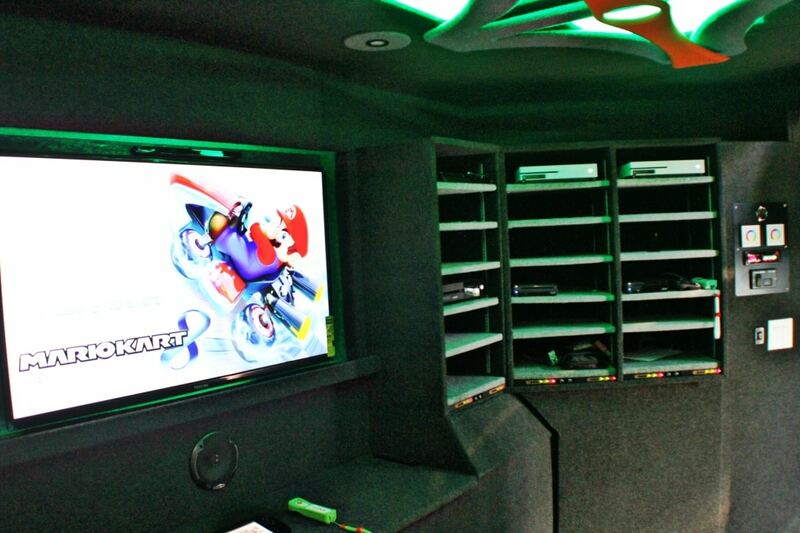 The interior gaming space is 20 feet long from front to back – not including the tongue of the trailer. 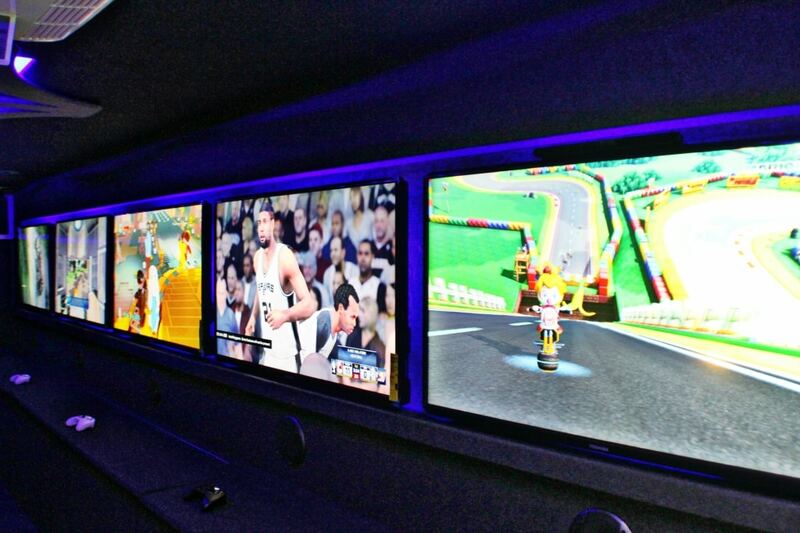 Like all of trailers, the Gamers Paradise is at least 7 ½ feel tall from the interior floor to the ceiling. 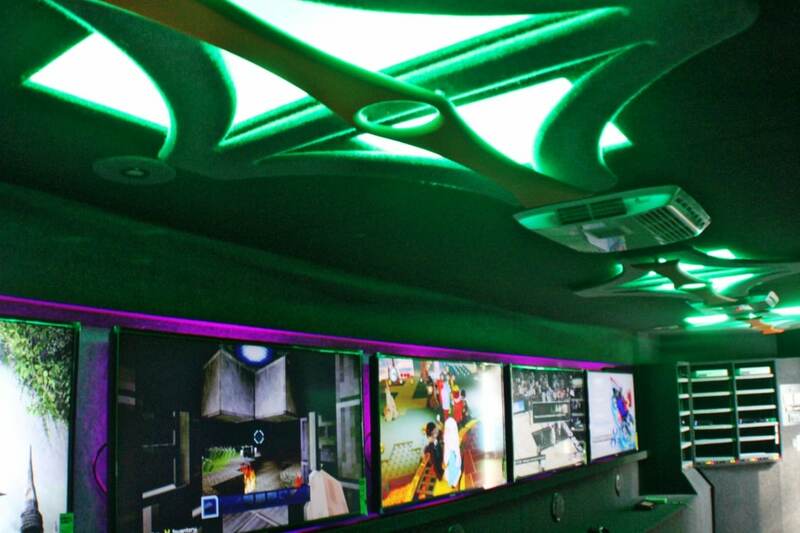 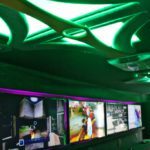 We build our trailers this way so your customers can feel comfortable in the trailer - even when it is entertaining 16 gamers inside at once. 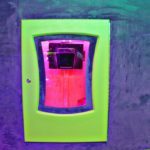 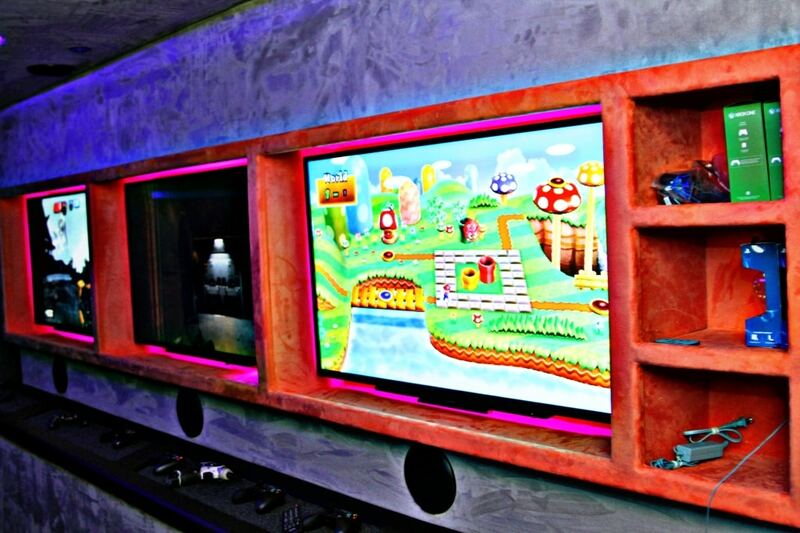 If you want to host gaming tournaments in your city, the Gamers Paradise is a great place to start! 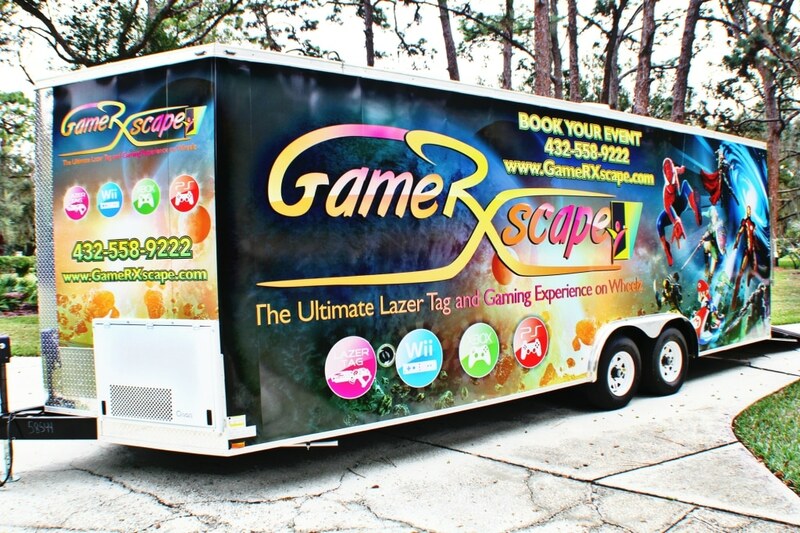 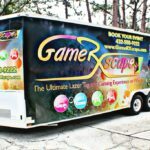 The Gamers Utopia is designed to blow any other gaming trailer company in your area out of the water. 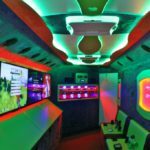 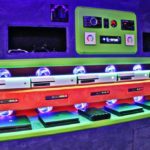 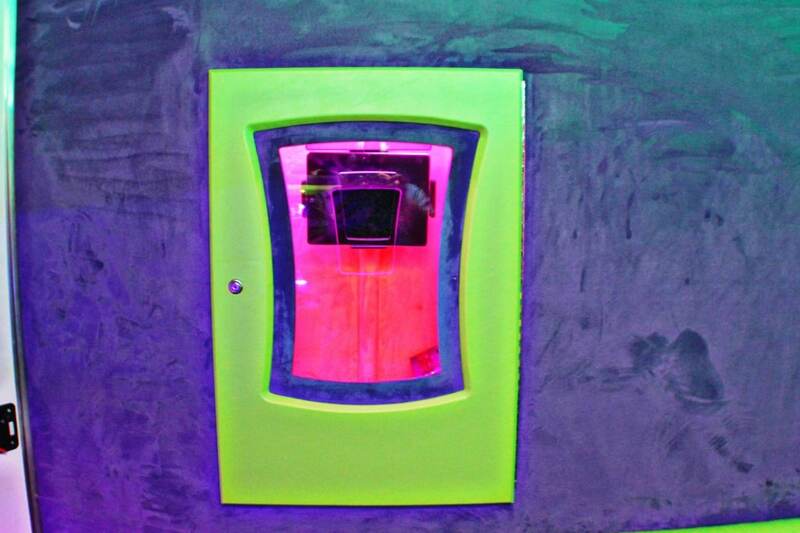 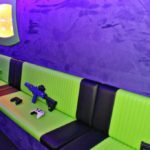 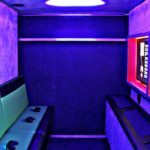 The interior gaming space is 24 feet long has up to 8 TV’s and a sound system that will not be matched by your competition. 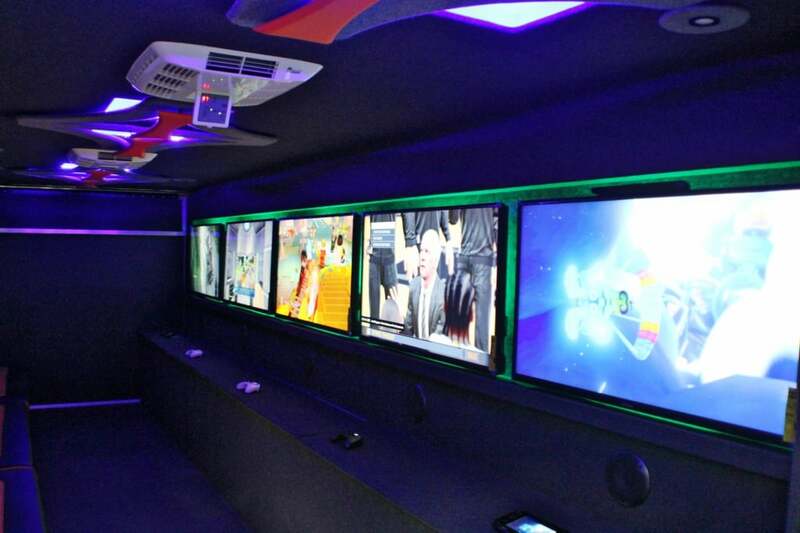 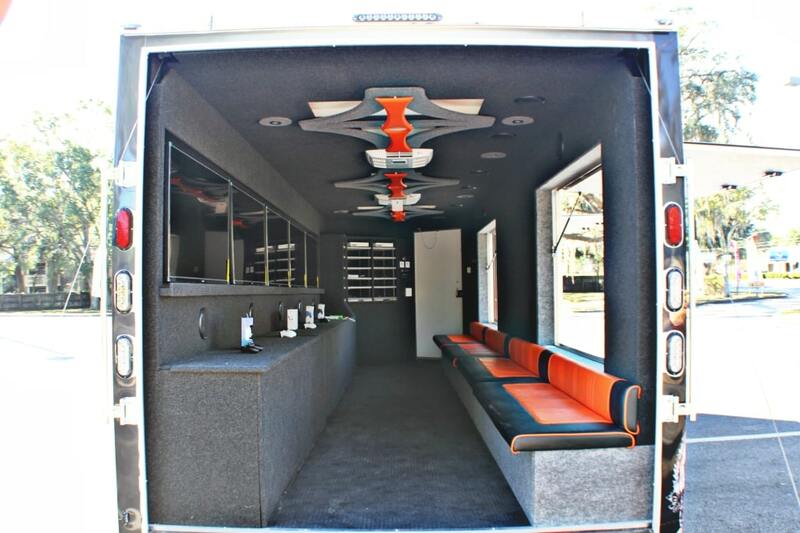 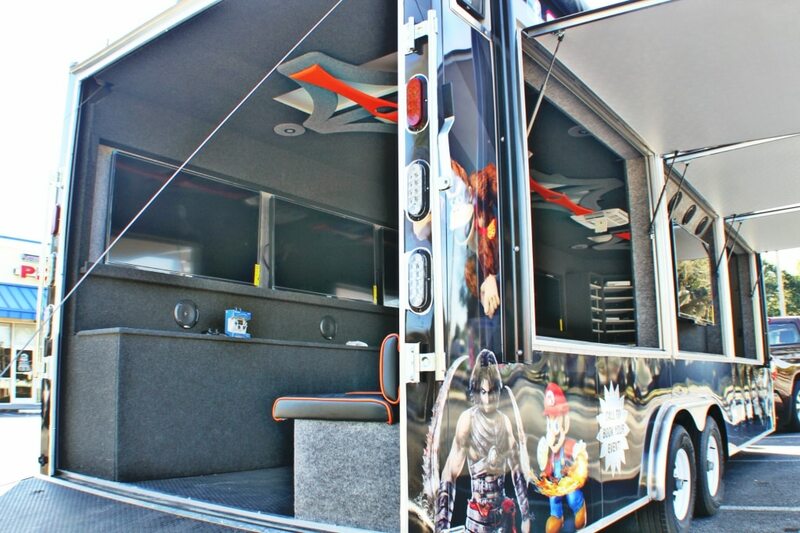 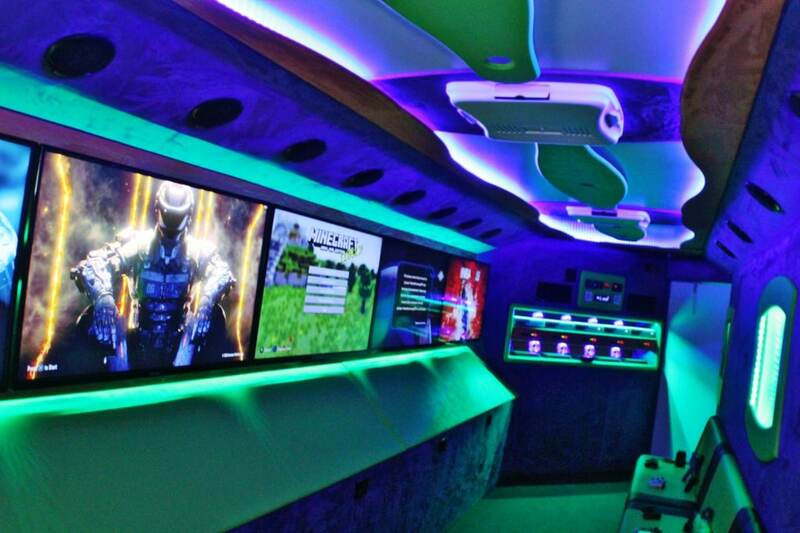 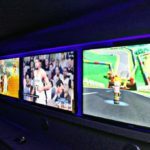 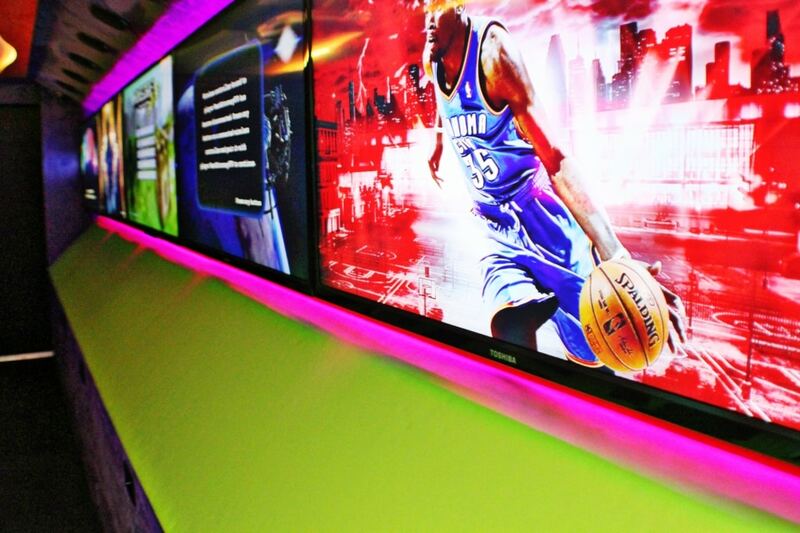 Like all of our trailers, the Gamers Utopia can have up to 3 gaming systems per television. 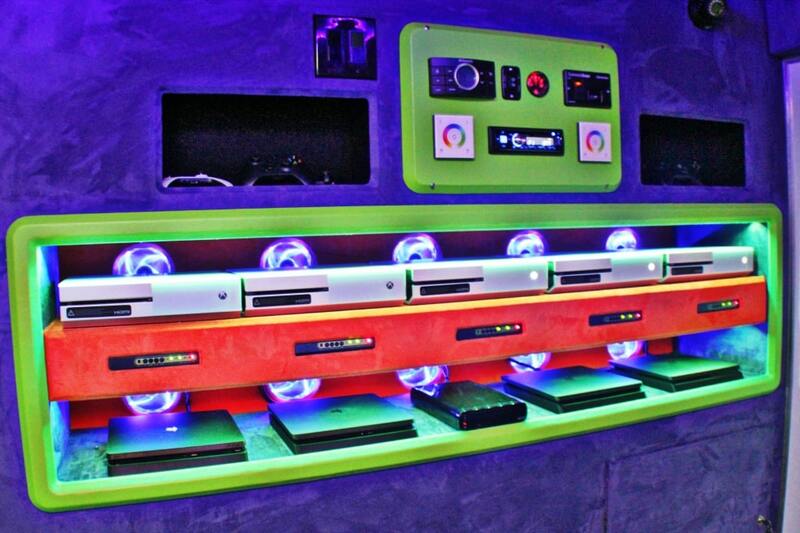 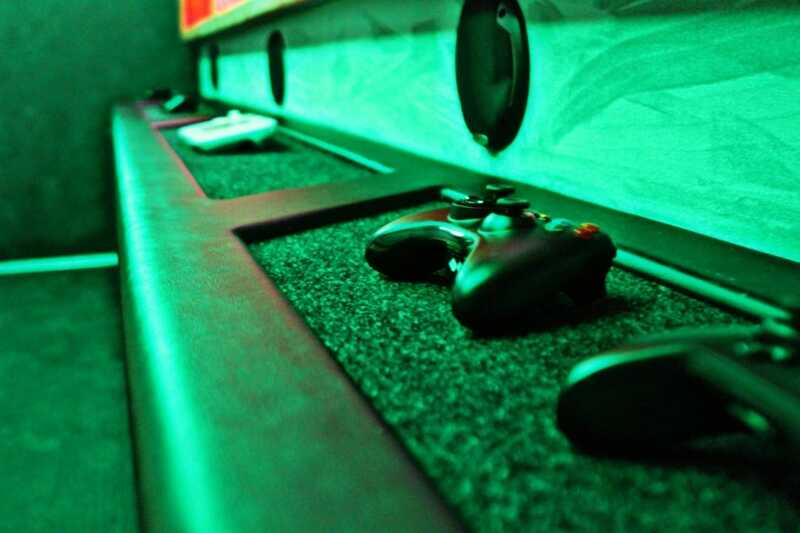 That’s up to 21 gaming systems for your customers to choose from. 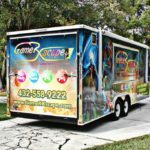 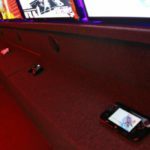 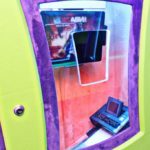 If you’re in an area with many gaming trailers and you want to stand out, the Gamers Utopia is the solution you’ve been waiting for! 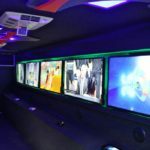 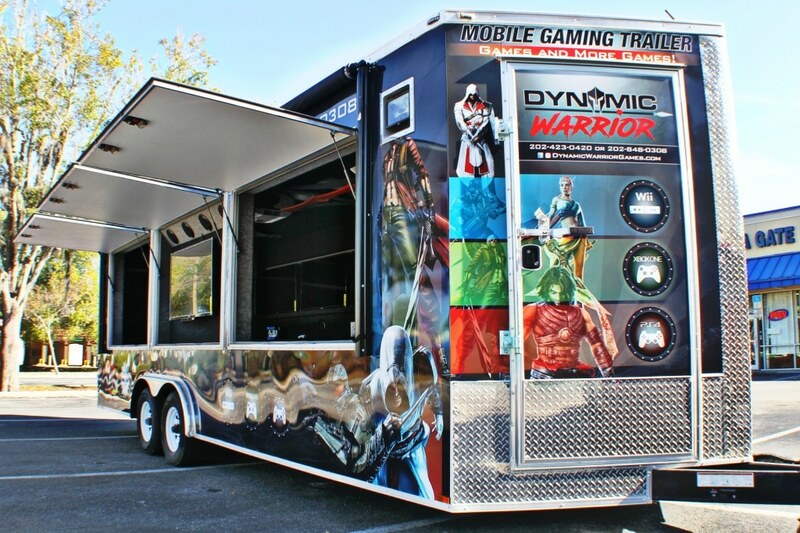 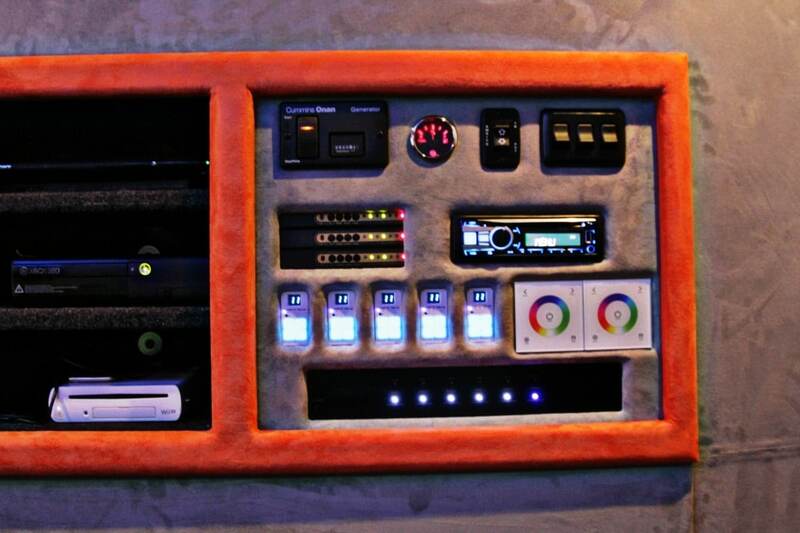 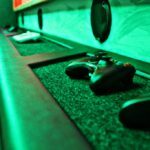 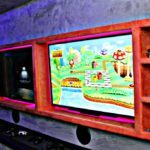 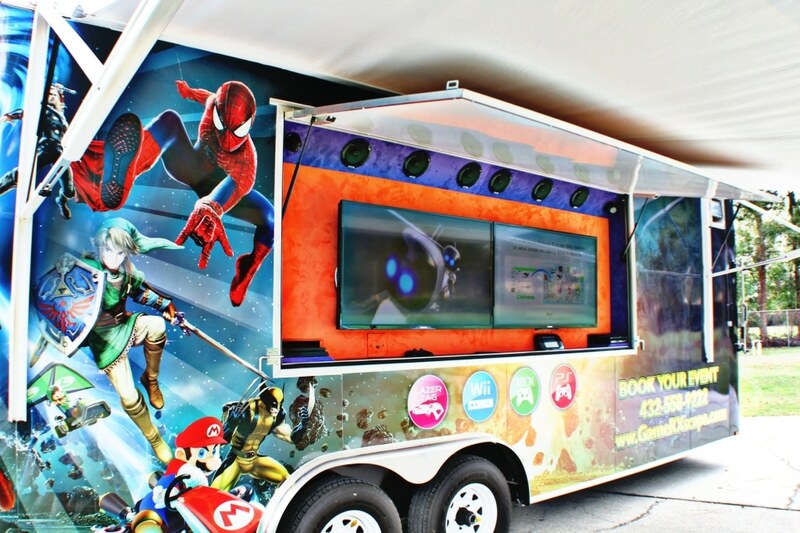 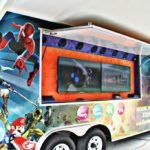 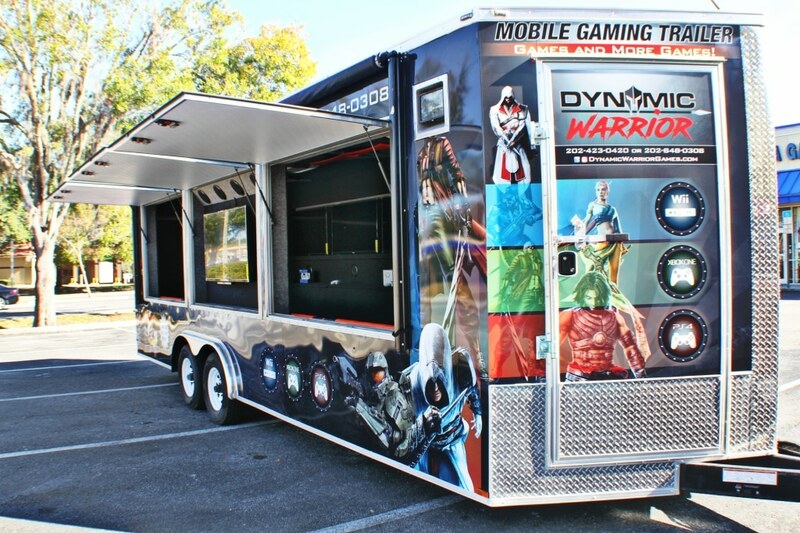 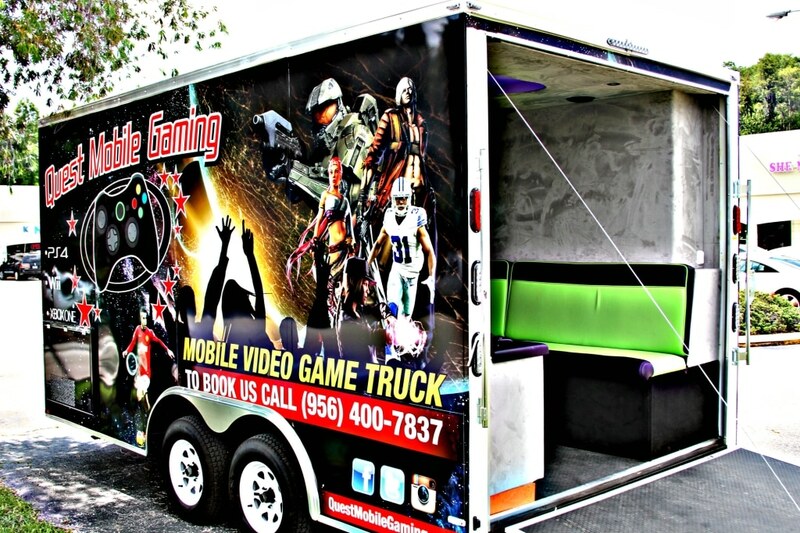 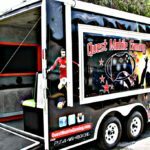 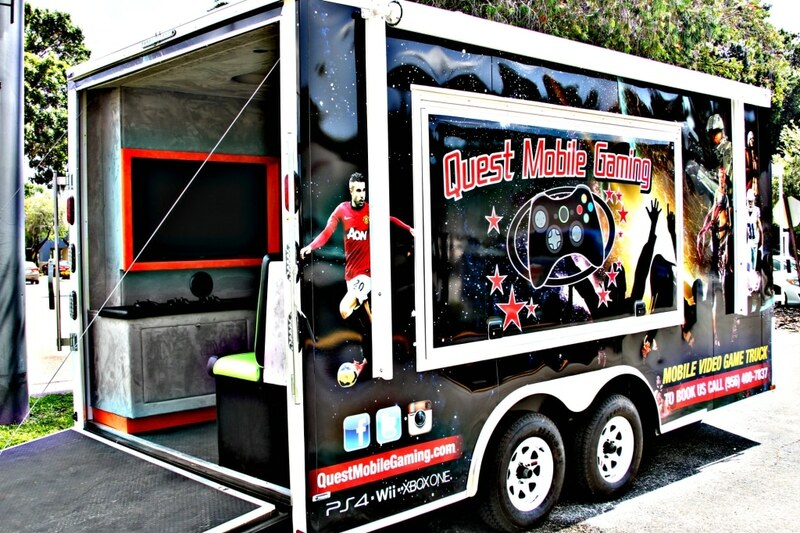 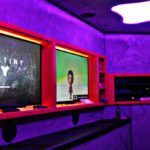 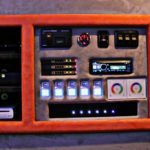 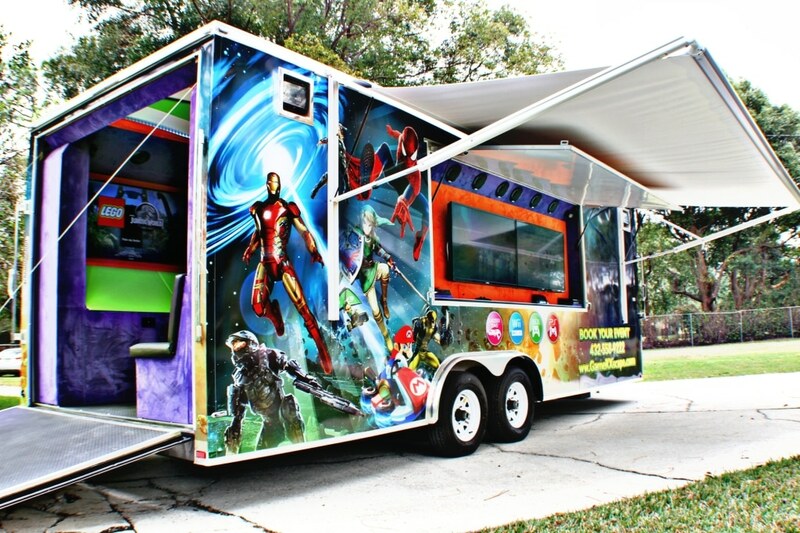 A Custom Premier Gaming Trailer is whatever you want it to be! 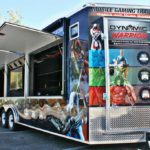 We often say, “if you can dream it, we can build it” and a fully custom trailer is where we prove it. 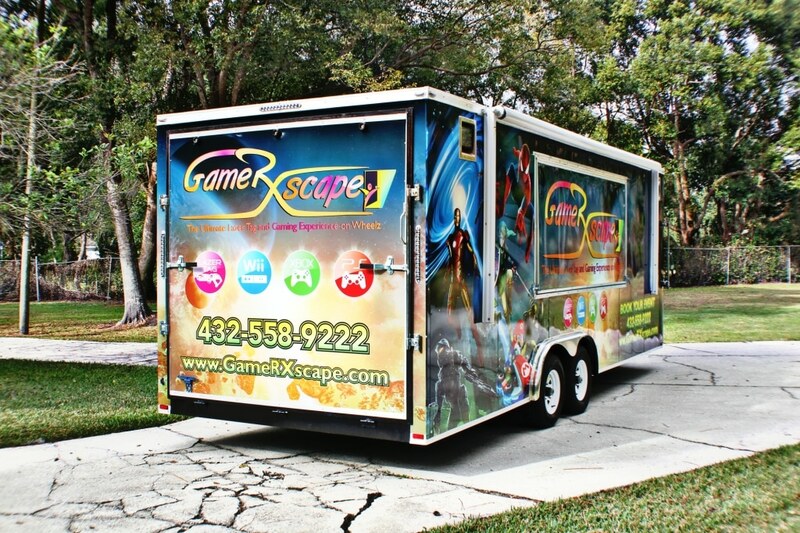 We’ve had years of experience building trailers for truly creative people who just called us with an idea. 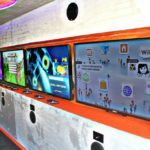 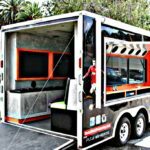 We’ve been asked to build everything from mini interactive kiosk to freezer truck entertainment trailers and we’ve never said no. 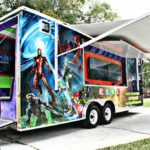 So if you have an idea that you think might be a little crazy, give us try because, “if you and dream it, we can build it” isn’t just a slogan, we mean it! 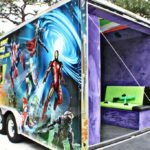 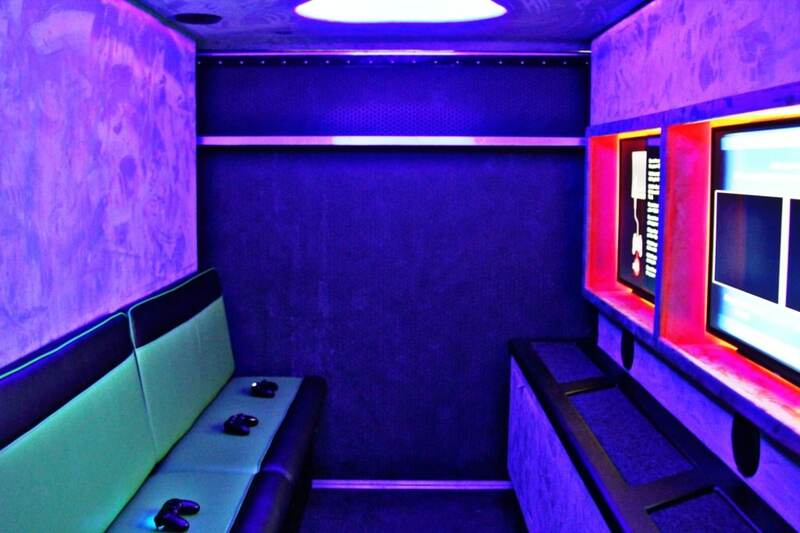 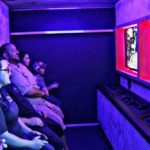 This Custom Virtual Reality Trailer can be found in Texas. 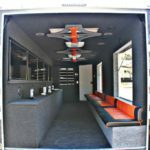 We often say, “if you can dream it, we can build it” and this company took that statement and ran with it. 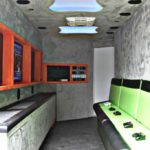 They have three VR Stations and a state of the art VR computer that will make their 40 foot gooseneck trailer a force to be reckoned with. 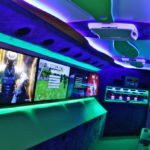 If you have an idea that you think might be a little crazy, give us try because, “if you and dream it, we can build it” isn’t just a slogan, we mean it! 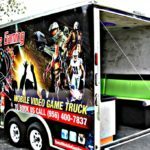 © 2018 Premier Gaming Trailers, Inc.
© PREMIER GAMING TRAILERS, INC.